What is a Hydrocodone Overdose? Hydrocodone overdose is a serious and potentially life-threatening condition that can occur after ingesting too much hydrocodone. Having a valid prescription for hydrocodone doesn't preclude the possibility of overdose. Other common overdose situations result from intentional hydrocodone misuse either for recreational purposes or with the intent for self-harm. Symptoms of an overdose occur in addition to the side effects commonly associated with opioid medications and may appear as more pronounced or severe degrees of those side effects. Difficulty breathing, including slowed or shallow breathing. Respiratory arrest or stopped breathing that can lead to brain damage or death. Severe drowsiness or difficulty staying awake. Very small or "pinpoint" pupils. Profound physical tiredness and weakness. Medications containing hydrocodone are commonly combined with acetaminophen (Tylenol) which also carries a risk of overdose. Concurrent ingestion of hydrocodone with alcohol can drastically lower the threshold for experiencing acetaminophen toxicity. Jaundice (yellowing of the eyes and skin). While overdose can happen to anyone who takes too much hydrocodone, there are certain populations who are at an increased risk. Demographic risk factors identified in past research include males, non-Hispanic Whites, and those between the ages of 45-54 years old (different than the age range for heroin overdose). Use of hydrocodone for chronic pain conditions, being prescribed higher doses, and having multiple or overlapping prescriptions for opioid medications. Use of prescription sedatives such as benzodiazepines in conjunction with hydrocodone. Non-medical or recreational use of hydrocodone. History of opioid abuse or dependence. 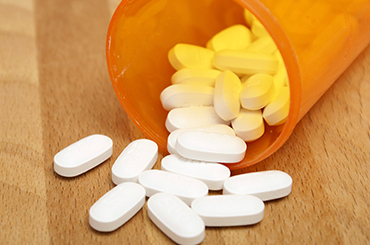 If you feel that you are overusing hydrocodone or are at risk of overdose, help is available. Taking that first step and seeking help can be a difficult decision involving mixed feelings, including fear, anxiety, and embarrassment; but hope exists for a better future. Getting help can begin today by calling 1-888-993-3112Who Answers? to speak confidentially with a treatment support team member about your recovery options. If hydrocodone overdose is suspected or symptoms are present, it is absolutely necessary to seek emergency medical attention by calling 911 or the local emergency number. A hydrocodone overdose cannot and should never be treated at home or without appropriate emergency care. Find as much information about the individual suspected of overdose as possible. Locate the medication or container if available, or know the name and strength of the medication taken. Determine the amount of hydrocodone ingested and the timeframe between dose and presentation of symptoms. Find a treatment center to help you with your Hydrocodone addiction. [/cta]Another source of information about hydrocodone overdose is the National Poison Control Center, available at 1-800-222-1222. In the event of a suspected overdose. When more than the prescribed amount of hydrocodone was taken. To learn about hydrocodone overdose and prevention. Again, an overdose is a life-threatening emergency and 911 should be contacted immediately if symptoms are present. Medications that contain hydrocodone are intended for use only by the patient for whom they are prescribed. Individuals who are prescribed hydrocodone medications should strictly adhere to the dosing regimen prescribed by their doctor and should not allow others to use them whether for pain relief or recreational purposes. One can learn about the risks involved with using hydrocodone by asking their doctor and reporting any serious side effects experienced when using hydrocodone. dose does not provide adequate pain relief. Those who experience chronic or severe pain are at greater risk for overdose due to the potential of exceeding the amount prescribed, and concerns about medication strength or effectiveness should be expressed to a doctor. Hydrocodone should never be taken for recreational purposes or to get "high" which also increases the risk of overdose. Consuming alcohol and other drugs when using hydrocodone may also increase the risk of overdose (and, additionally increases the risk of acetaminophen toxicity). Due to the dangers of respiratory arrest, restoring oxygen supply through CPR, ventilator, or by reversing respiratory symptoms with medication is the first priority. Increased awareness of opioid overdose nationwide has led to the use of "opioid overdose toolkits" by first responders and other medical professionals. Reverses the symptoms of an overdose. Prevents brain damage and death from respiratory arrest. Gastric suction or "stomach pumping." Prevents further absorption and damage. Prevents or reduces acetaminophen poisoning. Emergency room personnel will continue to monitor symptoms of overdose with appropriate therapies until the risk of severe and permanent harm and death has reduced. If acetaminophen toxicity is suspected, an 'antidote' medication called Mucomyst (acetylcysteine) can be administered to mitigate the extent of liver damage. Recovery from a hydrocodone overdose depends on the amount of medication taken and how soon medical attention is received. Rapid reversal of symptoms, particularly respiratory arrest, lowers the potential for permanent damage and an individual may return to normal functioning within a few days if the overdose was treated in time. Remember that hydrocodone overdose cannot be treated without proper emergency medical care and to always contact 911 or the local emergency number if an overdose is suspected. 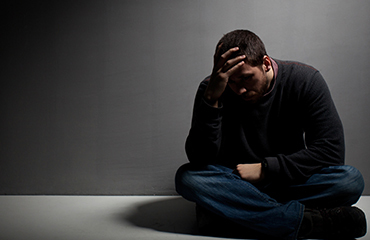 An overdose can be very traumatic and leave you with many questions about what happens next. If you feel that you may be overusing hydrocodone or you are unable to stop using, help is available. Contact 1-888-993-3112Who Answers? today for treatment information and to started on the path to recovery. Boyer, E. W. (2012). Management of Opioid Analgesic Overdose. The New England Journal of Medicine, 367(2), 146-155. doi:10.1056/NEJMra1202561. Retrieved from http://www.ncbi.nlm.nih.gov/pmc/articles/PMC3739053/.